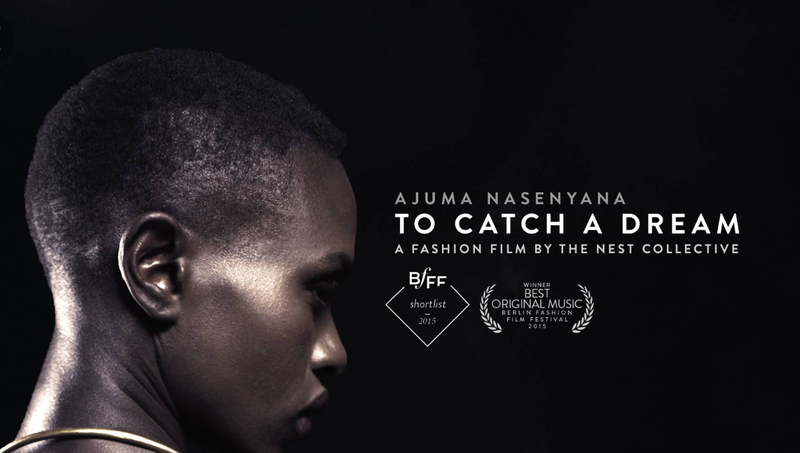 To Catch A Dream is a striking new film from Kenyan multidisciplinary art collective The Nest in collaboration with their in-house fashion initiative Chico Leco. The beautiful short stars Kenyan model Ajuma Nasenyama in the lead role of a grieving widow plagued by recurring nightmares. In her quest to rid herself of the nightly terror Ajuma relies on a long forgotten urban legend which causes her to transcend the physical realm to face the ghosts of her past in the afterlife. Featuring stunning designs from eight local fashion houses, scenes from the film were shot in Magadi, Lake Naivasha as well as various locations throughout Nairobi. To Catch A Dream was written and directed by Nairobi-based visual artist Jim Chuchu–whose feature-length debut Stories of Our Lives was one of our Top Film of 2014— with creative direction by stylist Sunny Dolat. Watch the 13-minute short below. Stream and download the film’s original soundtrack, also by Chuchu, on Soundcloud and Bandcamp.